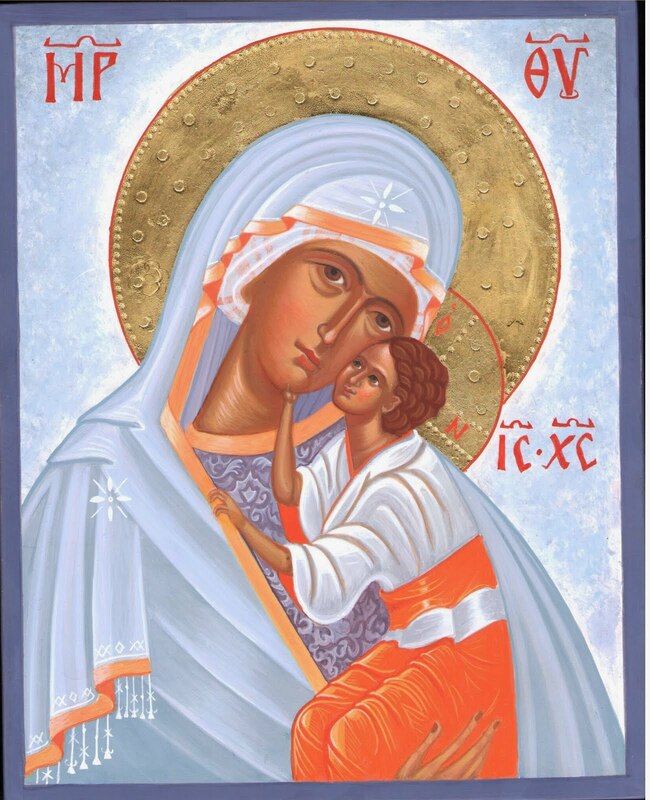 Feels like I have been painting on this icon (70 x 80 cm) for ages - but I know it has only been some weeks. 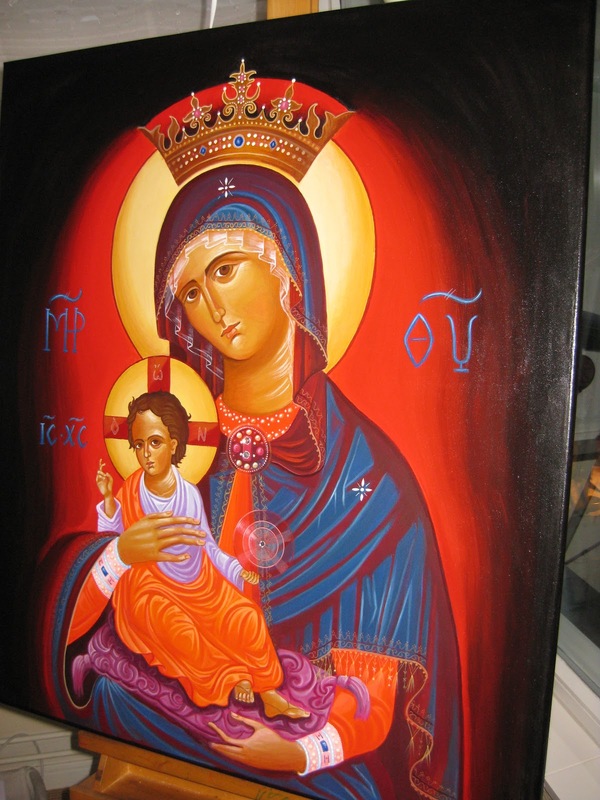 This icon is painted in tempera mixed with the special glue Theodoros gave me. And I have used an easel for the first time. A new experience for me. Slowly, slowly, step by step - she has come forth. This is how it is in my life. Many other things I seem to want, and cannot have enough of. Food for example, and wine... and admiration! Well this is how it is, I forgive myself for feeling this way. I observe - this is how it is and I do not judge myself for it. I show it to the Holy Spirit - (and now to you) and it will be taken care of. No worry. Acceptance. She will be here - even if I let the painting go. I know.